The Grinch (film, 2018). A 2018 American 3D computer-animated Christmas film with "PG" rating by Universal Pictures. Directed by Scott Mosier, Yarrow Cheney. Official Trailer. 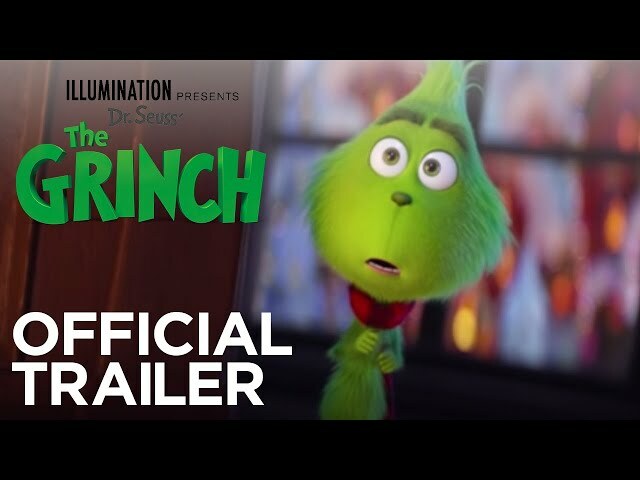 The Grinch is a 2018 American 3D computer-animated Christmas film directed by Scott Mosier and Yarrow Cheney. 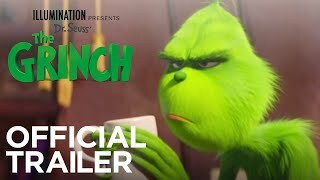 The Grinch - Official Trailer #3 . In the town of Whoville, the humanoids called Whos are filled with excitement about celebrating Christmas. The only one who isn't amused is a cantankerous, green furred creature called The Grinch, who has a heart "two sizes too small" and lives in a cave on the top of Mount Crumpit just north of Whoville. The Grinch has a pet dog named Max and they both only visit Whoville when the Grinch needs to buy food and do bad things. Meanwhile, 6-year-old Cindy Lou Who notices that her mother Donna is overworked trying to take care of herself and her baby twin brothers, Buster and Bean. At first, she decides to send a letter to Santa Claus to help her mother, but after encountering the Grinch, who sarcastically says that she'll have to talk to Santa face-to-face about it, she then decides to go to the North Pole to talk to Santa, but when Donna tells her that it would take a month to get there and back home, her final decision is to try and trap Santa with the help of her friends. With Christmas approaching, all the Whoville festivities give the Grinch a flashback, recalling his disjointing childhood spent mostly alone and unwanted in an orphanage. The Grinch soon decides that he will steal Christmas from Whoville to assuage his distress. He acquires a fat reindeer whom he calls Fred to help him pull a sleigh that he stole from his neighbor, Mr. Bricklebaum. After a test run, the Grinch discovers that Fred has a family. With a heavy heart, he lets Fred go home with them. On Christmas Eve, after making a Santa Claus disguise and dozens of gadgets to help him with his plan, the Grinch and Max, who pulls the sleigh in Fred's place, go down to Whoville to steal the decorations and presents. He soon encounters Cindy after falling into her trap. Her request to help lighten her mother's workload, and her kind advice about listening to the Whos' singing to alleviate his sadness, touches the Grinch's bitter heart. Nevertheless, the Grinch carries on with his mission. 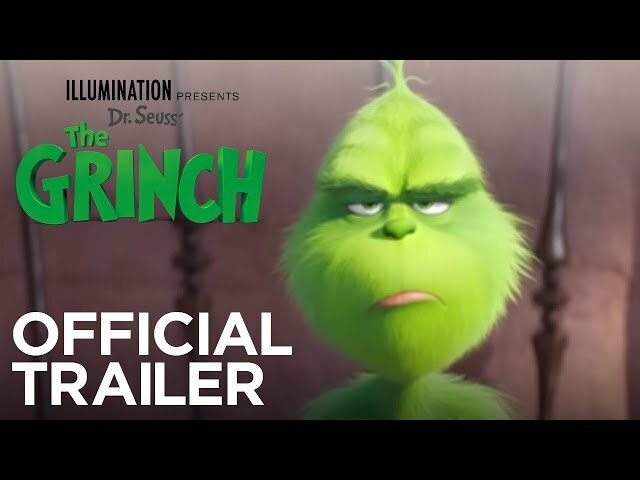 The film The Grinch was scheduled to be released by Universal Pictures on October 22, 2018 (Regency Village Theater), on November 9, 2018 (United States, United Kingdom) and on November 29, 2018 (Germany). The duration of the film is 86 minutes. With a budget of $75 million, the film grossed over $511.3 million. 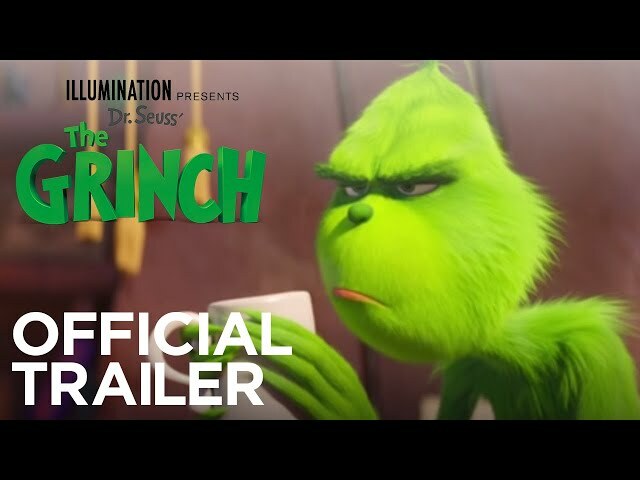 The Grinch got average rating from critics. But the audience likes the film. Audiences polled by CinemaScore gave the film an average grade of "A-" on a scale ranging from A+ to F.